The Vietnam Chamber of Commerce and Industry – Ho Chi Minh City Branch (VCCI-HCM) cooperated with the China Foreign Trade Center to hold a conference to introduce the 125th China Import and Export Fair, also known as the Canton Fair, and business exchange between Vietnamese and Chinese enterprises on March 20. According to VCCI-HCM, China continues to be the largest trade partner of Vietnam and Vietnam has also passed Malaysia to become the largest trade partner of China among countries in the ASEAN. Last year, two-way trade turnover between Vietnam and China exceeded US$106 billion, up 14 percent compared to the previous year. China is the first trade partner of Vietnam to make a record high of more than $100 billion in trade turnover. Of which, export value from Vietnam to China was above $41 billion, up 16 percent compared to that in 2017. 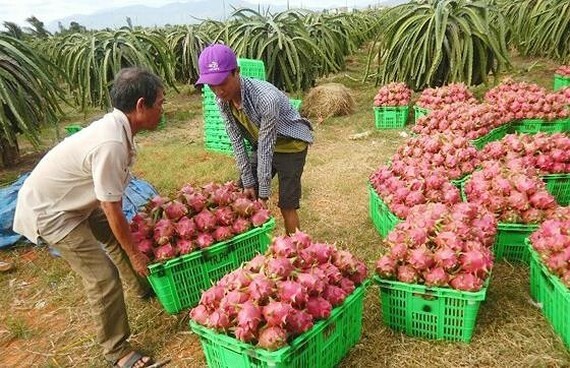 Structure of export goods from Vietnam to China has positively changed, gradually increasing the proportion of manufactured products and agro-forestry-aquatic products and decreasing the proportion of raw materials, fuels and minerals.